Over at Sage and Spice, multitalented Danielle Pigeon has reviewed Frosty Garden™, Mellow Monk's shiraore*. This comes on the heels of her most thoughtful review of Monk's Choice™, so we are profusely grateful to Dani for helping to get the word out about our grower–artisans and their wonderful (even if we do say so ourselves) green tea. Thank you, Dani. Many happy steepings to you. 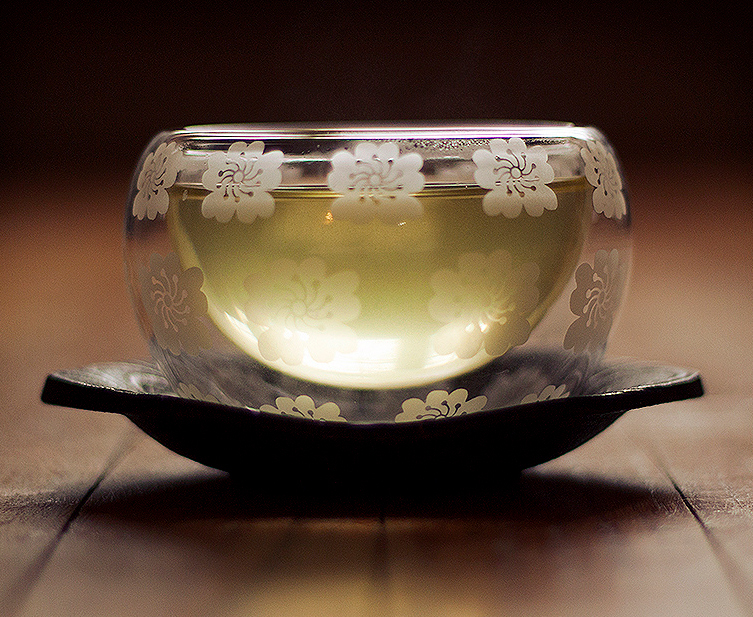 *A shiraore is a green tea made with some leaf stems. Although sometimes confused with kukicha ("stem tea"), shiraore contains primarily green tea leaf, with only a few stem pieces blended in to soften the flavor. As I said previously in a tweet, I think this is one of the most beautiful photographs anyone has ever taken of our tea (yours truly included).